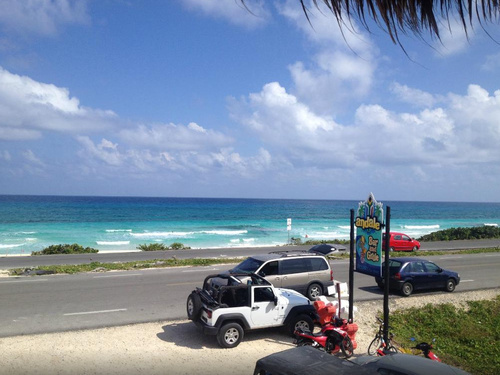 Custom tailored, around the island Jeep excursion with pickup in front of your Cozumel cruise ship terminal! 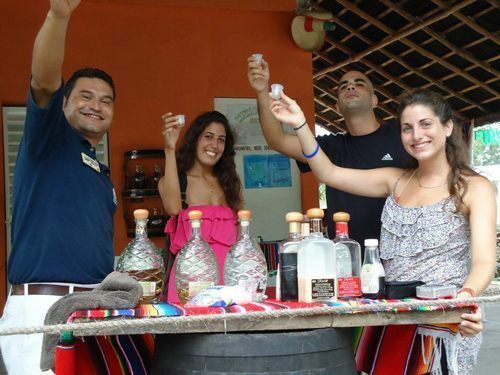 English speaking and certified Cozumel Jeep shore excursion guide! Complimentary snacks and drinks in guide's Jeep! Guided snorkeling including all snorkel equipment! Automatic Jeep available upon request! 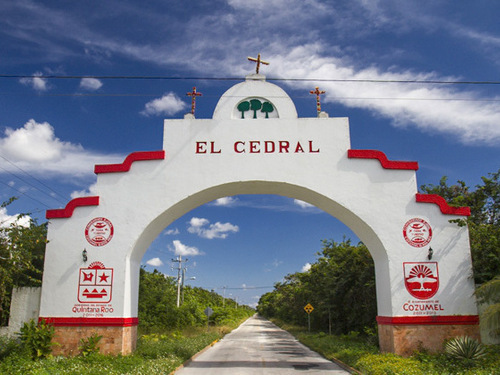 Special stops available - Chocolate Factory, Beach Club, San Gervasio Mayan Ruins, Horseback Riding, ATV, Parasailing and more (some at extra cost)! 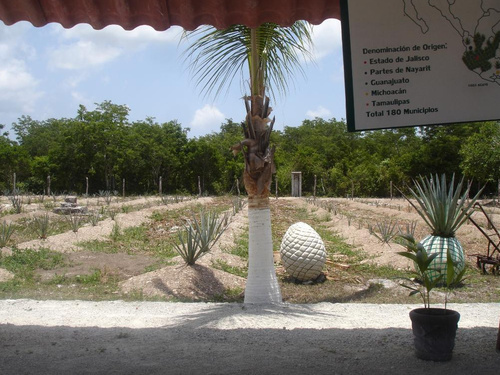 Come with us on a private jeep shore excursion and experience the highlights of the beautiful island of Cozumel, and have loads of fun while doing so! 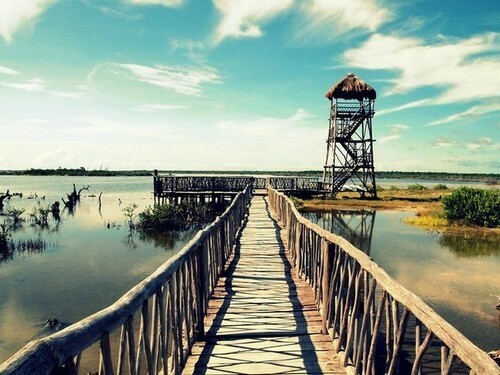 The best part is that you get to choose what to see and where to go! 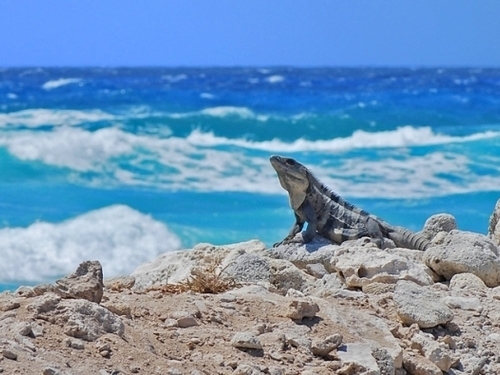 Explore the Ecological Park of Punta Sur, snorkel at an exclusive beach club or just circle the island? You will pick the itinerary and then follow your private guide while driving your own 4x4 Jeep Wrangler Convertible. Note: There is a minimum of 3 adults needed for your private excursion or a combination of 4 (adults and children). If there are only 2 in your party, a third space will need to be paid for the minimum. 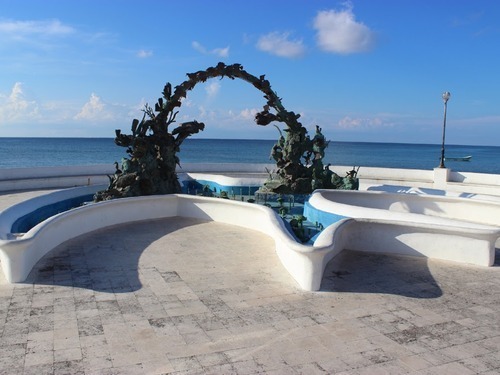 This excursion begins right outside your cruise ship's terminal in Cozumel. There you will meet with your friendly, English speaking, guide who will then take you to your Jeep Wrangler vehicle (Jeeps will be standard stick shift unless you request automatic - use the comment box on your order form, all drivers must present a driver's license). You can go along with the suggested itinerary below, or customize your day with your guide. Remember, this is your private guide and jeep for the day! After you've determined the sights you'd like to see, your bilingual jeep excursion guide will give you a short briefing about "how to drive" around the city along with some security measures. The minimum age to drive is 21 years old and all the driving is on paved roads. 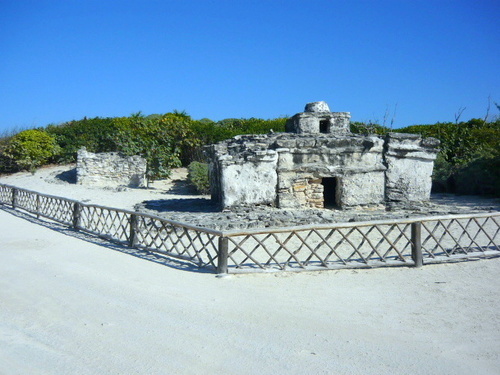 Typically your excursion will have you following the shore excursion guide on the cross-island road (also known as the "transversal"), and will then head south. 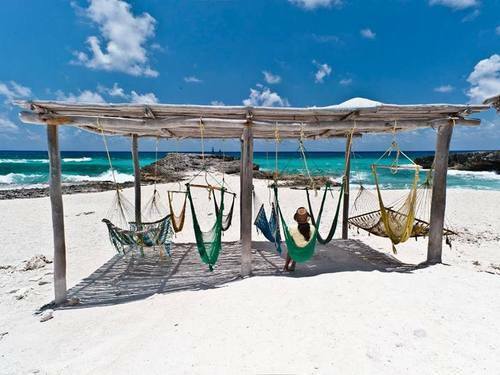 Discover the best beaches in Cozumel and miles of virgin coastline, while you drive along the undeveloped east coast of Cozumel with its natural white sandy beaches, rocky shore, blowholes and turquoise water. 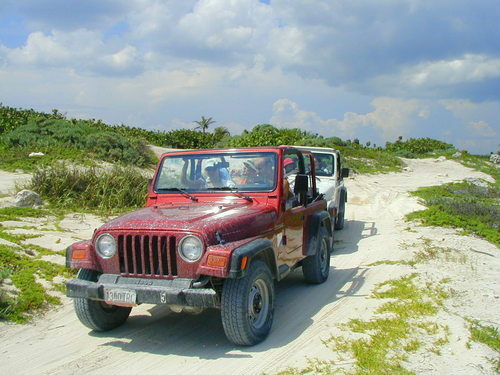 Your Private Cozumel Jeep Excursion guide will show you the best photo ops along the road - don't forget your camera! 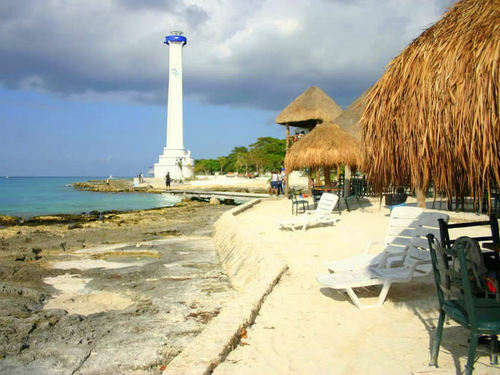 Your next destination, if you choose to go, is the famous Punta Sur Eco Park, the largest national ecological reserve in Cozumel. 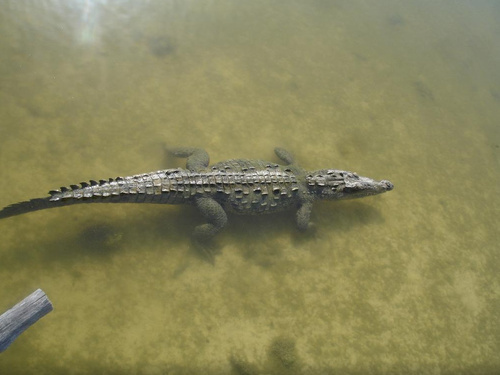 The first stop inside the park is to watch the crocodiles in their natural habitat from a safe lookout tower. You can also see exotic birds and wild flora everywhere. 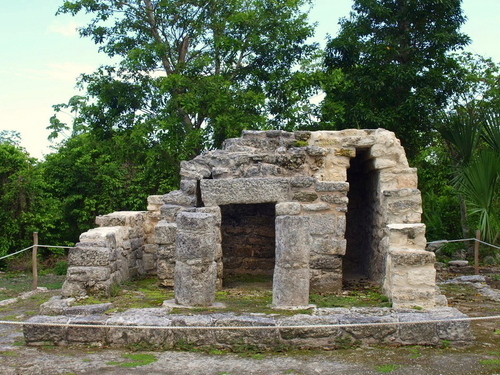 Next you will visit the Caracol Mayan ruin, a small construction that despite of its size was an important development of the Mayan civilization and served as a weather station. 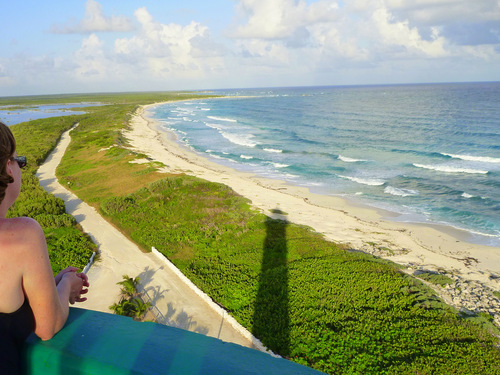 Don't forget to climb the historic Celarain Lighthouse and enjoy the spectacular panoramic views of the Mexican Caribbean sea and island! 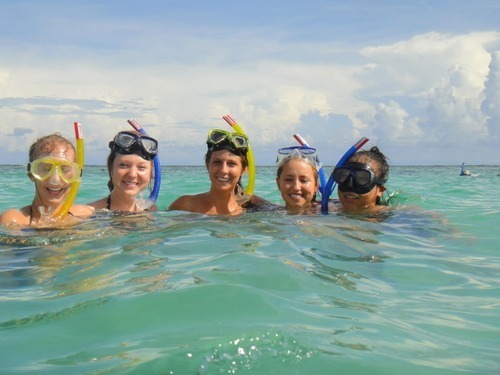 Also, as part of the regular Private Jeep Cruise Excursion in Cozumel, you have the opportunity to stop for a 45 minute guided snorkel at Punta Sur (keep in mind, you can chose the itinerary and activities during this private shore excursion). 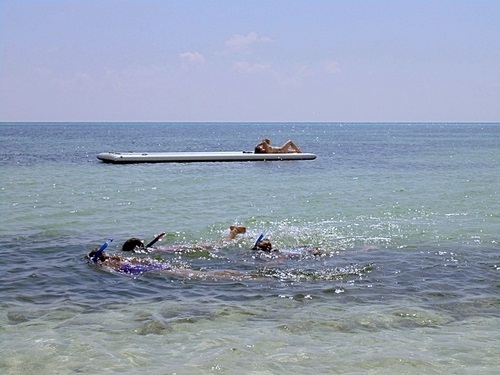 The reef is shallow and easy to access, ideal even for beginner snorkelers to feel comfortable and safe at all times. All necessary snorkel equipment will be provided. 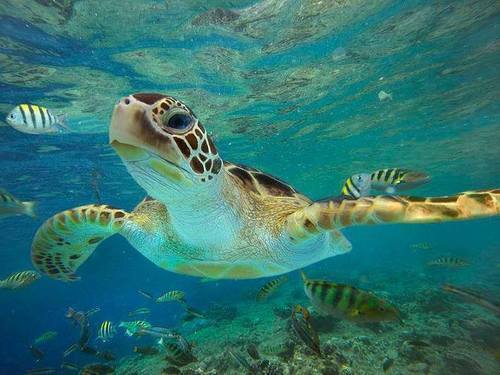 You may well spot parrot fish, yellow-ribbon fish, Sargent mayor fish and sea turtles among other local Cozumel marine life. Then lunch will be served at the beach restaurant, Papitos. Enjoy your delicious choices of fajitas, tacos or quesadillas - chicken, beef or fish. Drinks may be purchased at an additional charge during lunch. Want to do something completely different? Try an informative visit to the Chocolate Factory or maybe a stop at Ocean Beach Club (no extra entrance cost for either). 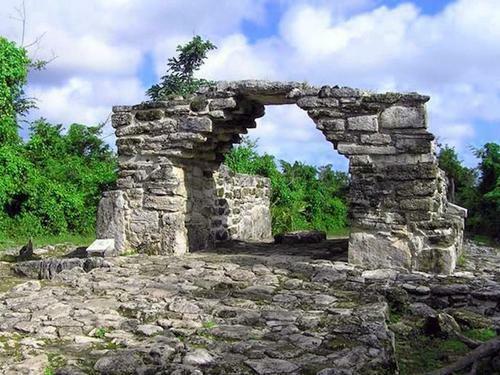 Or maybe switch out the visit to Punta Sur for a walk through San Gervasio Mayan Ruins, a relaxing horseback ride and a fun ATV excursion (available at an additional cost - options to discuss with your guide). You have the options to customize your excursion with a stop at El Cedral, a town in the middle of the island, or you may even drive around downtown San Miguel and take pictures of the beautiful monuments, churches and fountains of the city and stop for some shopping. Your Jeep shore excursion ends when your guide takes you back to the meeting point from where it is just a short walk back to your cruise ship after a day full of fun, memories and gorgeous landscapes. Traveling with little ones? No worries...infants under the age of 3 ride free! Car seats are also available at no extra cost (first come, first serve - 2 available). Note that the snorkel and lunch spot may be changed to the west side depending on weather and water conditions. Deposit back guarantee...if you do not do the excursion (for any reason) please contact us via email within 14 days after your excursion date for a deposit refund. Mexican Style Lunch (on the East side of the island or depending on the weather, westside) - beef, chicken or fish fajitas, tacos, guacamole, etc. Drinks not included at lunch. Guest can pay the difference and get something else off the menu. 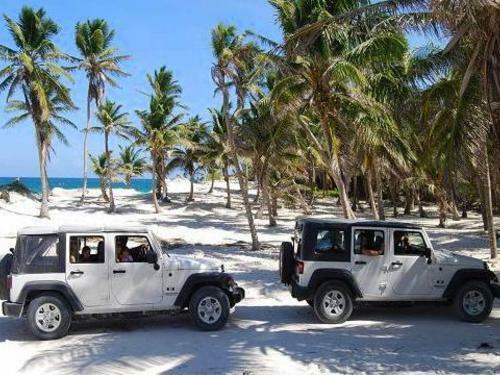 Each Jeep is shared and holds up to 4 people. We suggest you bring along sun protection, change of clothes, swimsuit, camera, cash, etc. For safety reasons, snorkeling location may be substituted due to weather or ocean conditions. The excursion itinerary, as well as the stops, may be adjusted based on the conditions of the day and to allow for the best experience. If you require a car seat, please indicate at the time of booking. The car seat will take up one adult space in the Jeep. Arrangements for an automatic transmission Jeep must be made at the time of the booking (please add to notes during the booking process). There is a minimum of 2 adults needed for this excursion. Minimum age to drive a Jeep is 21 years old - all those wishing to drive must have their valid driver's license with them. All guests under 18 years old must be accompanied by an adult/guardian participating in this excursion. This excursion is not allowed for guests with limited mobility, heart conditions, breathing issues, epilepsy or any other illness that prevent their safe participation. A. 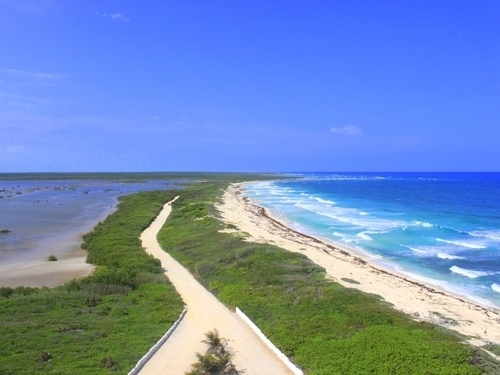 The roads used for this private Jeep excursion are paved, however inside Punta Sur Eco Park you will drive on a sandy road (if this destination is chosen as part of the excursion). But please remember you will be riding in a Jeep, so yes, it can be bumpy. A. It is very easy. Please add a note to your reservation if you require an automatic transmission Jeep. A. 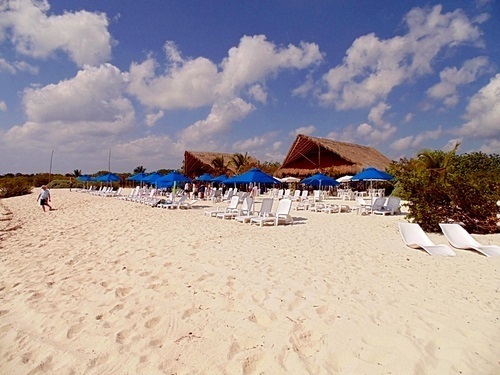 Yes absolutely, it is not mandatory to join the guided snorkeling part of this Cozumel Jeep cruise excursion. The pricing remains the same however. A. Yes, this is your customizable excursion. 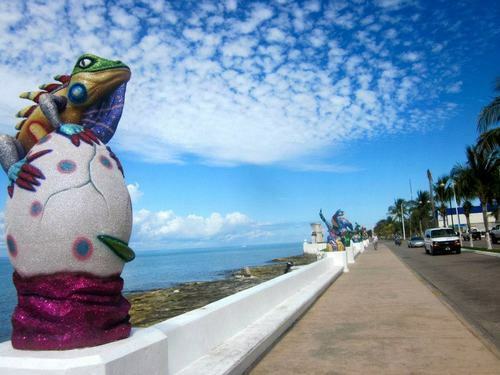 If you want to do both stops, the cost to get in San Gervasio is $10.00 USD per person. 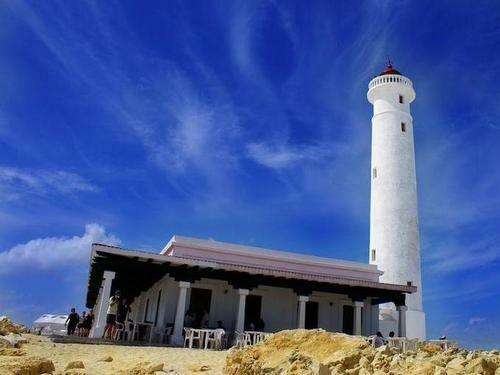 The entrance fee at Punta Sur is $11.00 USD per adult.Q Where is the horseback riding and ATV held at? You want to cancel at any time, for any reason, before or after your arrival. 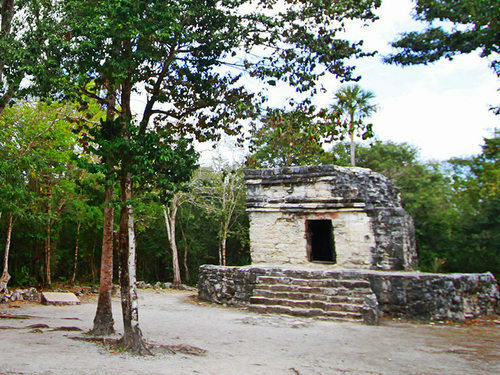 Simply contact us via email contact@cozumelmexicotours.com within 14 days of your missed excursion date for a deposit refund. Your ship arrives into port late and you cannot make it in time to the meeting location. Your ship misses/skips the port. Weather conditions or equipment failure prevents the operator to run the excursion. A medical problem prevents you from safely participating in the excursion (we will verify with the tour operator or guest may send doctor's note). Cancellations that do not comply with the above may not be subject to refund. Guests must notify us within 14 days after their excursion date via email for requesting a refund of booking payment made to Shore Excursioneer. I highly recommend this tour. Our guide Julio was fantastic. He was very informative, answered all our questions, and helped us customize our tour for our family of four. The fajita lunch was excellent! 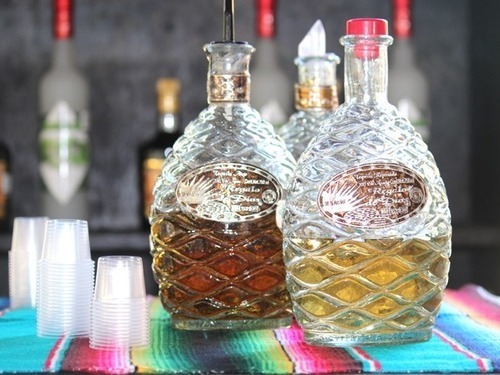 Also of note was the tequila tasting (quite extraordinary tequila--you'll never go back to Jose Cuervo). Lemonade was provided for the kids while we had a complimentary mango margarita. 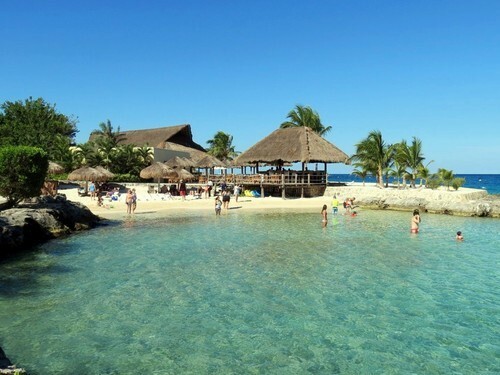 We will book with CWS the next time we are in Cozumel. This was our second excursion with them. Great Excursion! Lots of fun!